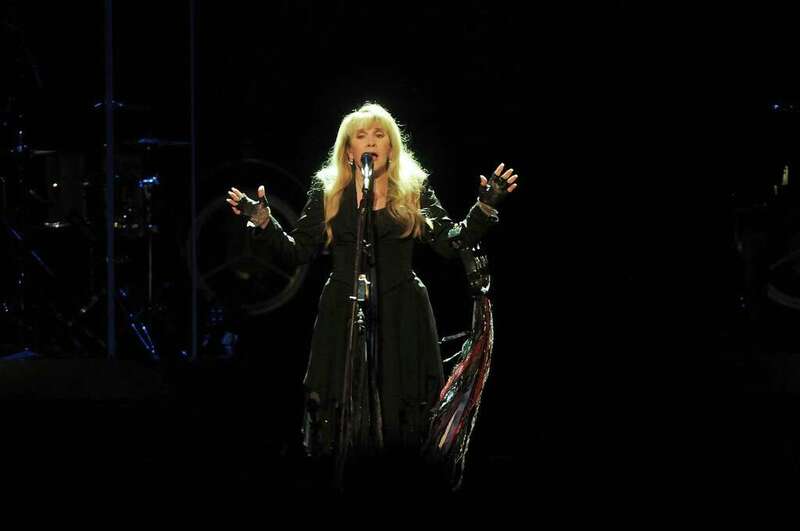 The Fleetwood Mac singer's Saturday show at Toyota Center -- on Halloween weekend, no less -- inspired several fans to don shawls and scarves, floppy and top hats, lace and long, flowy robes. Nicks' current 24 Karat Gold Tour is also showcasing a different side of the iconic singer. It included several songs she's rarely performed onstage. This was her third show of the tour, and her voice strengthened as it progressed. She told the crowd she visited Houston to pick up Lily, a "tiny pink dog," in July. Much of the show was framed like a "Storytellers" TV special. "Wild Heart," never before performed onstage, could be a hit for a country singer. The Edgar Allen Poe-inspired "Annabel Lee" boasted a rousing, rising chorus. "New Orleans" was originally a poem inspired by Hurricane Katrina. "Starshine" was a originally a demo recorded in Tom Petty's basement. Nicks performed "Moonlight (A Vampire's Dream)" in a long, white coat. It was no mistake that it played like some sort of gothic drama. "That was for Bella and Edward, who live in my heart, and the stories of 'Twilight,'" she said. There were, of course, ample moments of classic Nicks. She swirled her scarves and shook her tambourine. And the crowd roared when she took a few signature spins during "Stand Back." Chrissie Hynde of The Pretenders, who opened the show, returned for a spirited "Stop Draggin' My Heart Around." Deep cut "Outside the Rain" effectively segued into "Dreams." The final quartet of songs were for maximum fan appeal: a still-searing "Gold Dust Woman;" "Edge of Seventeen," featuring images of Prince flashing on the screens; a swirling "Rhiannon" and "Leather and Lace." Women danced. Men sang along. And Nicks, in all her witchy allure, proved she still reigns supreme.